Let me confess something here: these bottles are actually empties! 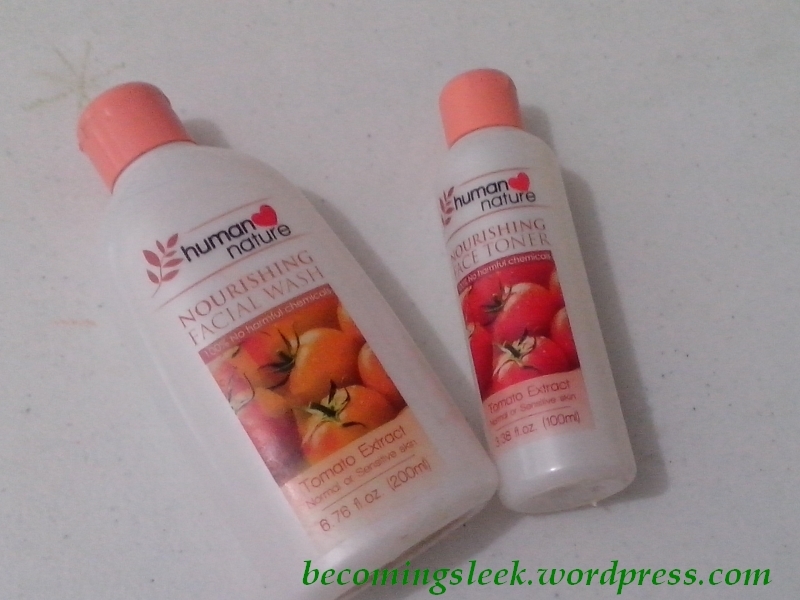 I’ve gone through these whole bottles of Human Heart Nature Nourishing Facial Wash and Nourishing Face Toner, and I think that should be enough times of use to make a proper review. Let’s start with the Nourishing Facial Wash. It contains tomato extract which is a pretty powerful antioxidant. I should mention that this line of HHN products caters specifically to Normal or Sensitive Skin. 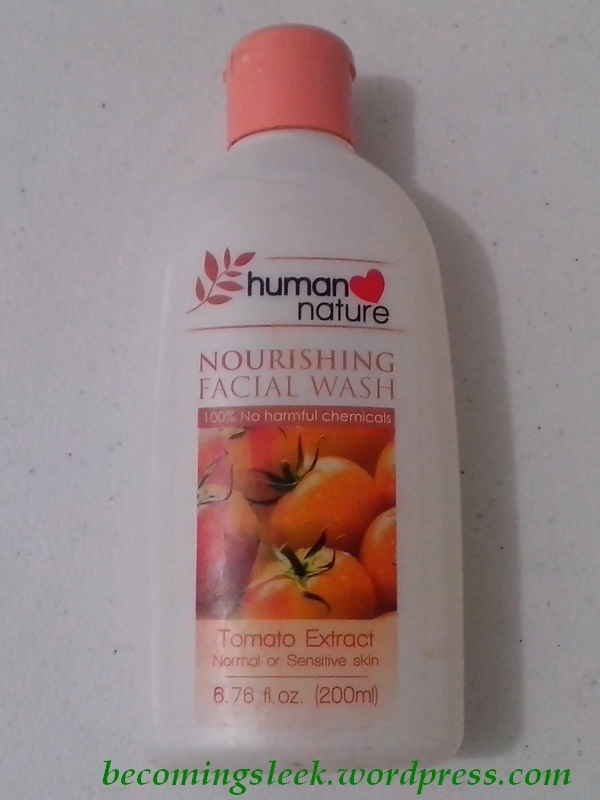 This facial wash is very gentle to the skin, but cleanses really well. It has a nice fruity scent. It doesn’t really lather up well, but don’t let that fool you into thinking it doesn’t work. It very well does, even if sometimes I forget to use a makeup remover (of course, not for the waterproof products). This product costs Php79.75 for the 50ml bottle, and Php199.75 for the 200ml bottle (pictured). Unfortunately, I don’t have a similar glowing review for the Nourishing Face Toner, even if they do contain the same tomato extract antioxidant. 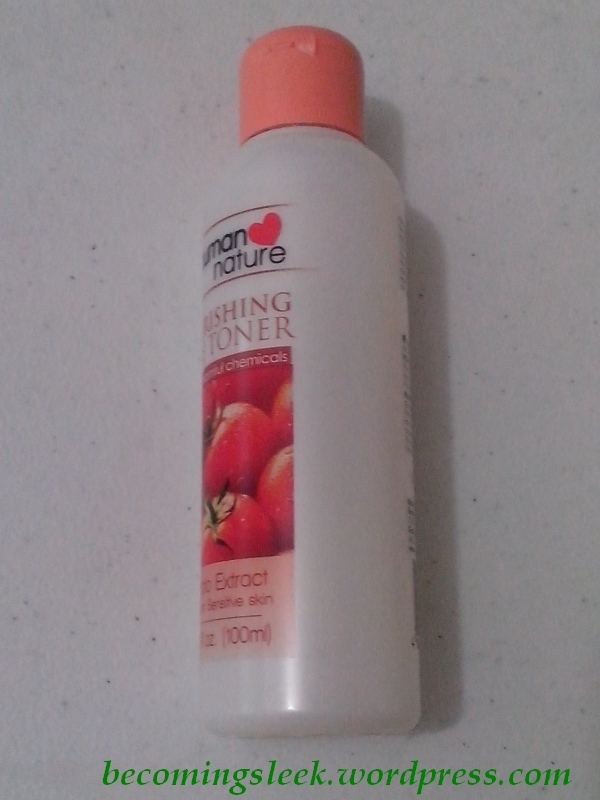 There must be something in the formulation, but I did experience some stinging when I use this toner. It’s not as painful as some of the other toners I’ve tried, but there is still some stinging. I suspect I am allergic to one of its ingredients. This product costs Php99.75 for the 100ml bottle (pictured) and Php184.75 for the 200ml bottle. Will I rebuy these? The facial wash definitely, as it works well for me and it’s not that expensive. I like the smell of it too. Check out Human Heart Nature’s online store here.